From the minor inconvenience of a headache all the way to the severity of high blood pressure and heart disease, stress can do major damage to the human body. It impacts our moods, behaviors, and our bodies. To one individual overwhelming stress may cause frustration and a loss of hope. To others it may cause insomnia, migraines, or stomach problems. Some people even behave differently under extreme stress which causes them to make poor decisions, abuse substances, overeat, or drink heavily. If unchecked stress can kill you. Stress comes into our lives in a variety of ways. A stay at home mom raising children can be stressed by the never ending list of responsibilities of keeping a home while still pursuing further education through online classes. A single parent can be stressed by the two or three jobs they have to work to provide for the needs of their home that keeps them away from their children. A business executive may be charged with growing their business during a negative business cycle which puts tremendous pressure on them to perform. A father who is laid off may be stressed about the dwindling size of the family savings account. People with chronic illness are stressed with the fear of what may happen if things turn for the worse. With the knowledge that stress can be present in anything that we do, I think it is crucial that we understand how to combat it. For that reason, I included below seven powerful solutions for overwhelming stress. These solutions are simple and impactful to help you keep the negative effects at bay. Prayer is a powerful and calming act that allows you to reverence and connect to a higher power. Through prayer you can find rejuvenation, hope, and strength. Prayer is a spiritual connection that can be done in as little as a few minutes or as long as it takes for you to find peace. The act of meditation has been proven scientifically to have benefits to the body and the brain. Taking a moment to recognize the beauty of nature is an excellent way to de-stress. Looking at the vibrant colors of flowers and trees, watching birds fly, listening to the sound of raindrops hitting the ground, and watching the clouds move across the sky can bring you instant peace. So often in our daily routines we fail to recognize the awesome majesty of the world we are a part of. Utilize moments of your day to see the beauty that surrounds you. The things that we enjoy doing can offer us relief from many of the stressors in life. In times of extreme stress taking a moment to invest time in a hobby is very beneficial and healthy. This hobby can be something like sewing, skating, singing, writing, or building cars. The trick is incorporating these activities in small increments in our day to day lives. A hectic and full calendar causes a lot of stress for many individuals. Creating a system of organization for your day is a great way to alleviate or even avoid stress in this area. By strategically mapping out what you will do and can do in a day will stop you from overbooking and overwhelming yourself. A practice that I have personally used when making my calendar is to overestimate the time it will take things to get done by as much as an hour and then I use the margin created to do things that will reduce my stress level throughout the day. Have you ever had a bad day and heard a song that spoke directly to your situation and changed your mood? The power of music is understated and from my personal experience it is undervalued. When you find yourself stressed inspirational, encouraging, and upbeat music can be invigorating. A great way to disconnect from the stress around you is to plug in your ear phones and listen to some great music. 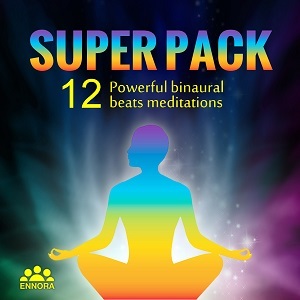 In fact, why not try some great meditation music. The people your surround yourself with can add to your stress or alleviate it. Choose to allow people into your life that add value to your life. Find the wise friend who always says something encouraging. Spend time with people who love you for who you are, flaws included. There are few feelings that exist like being around people who sincerely care and want what is best for you. When in the midst of people like this is where stress melts away. 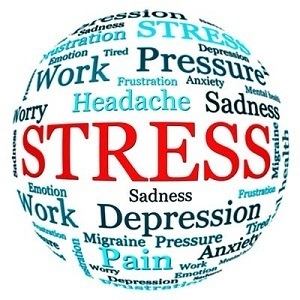 Stress is a part of life that cannot be avoided but we can work diligently to manage and reduce it. The ideas offered above are great ways to do just that but it is up to you to recognize the stressors in your life and work to limit them. This list may not be all inclusive but I challenge you to find a strategy that works for you. In addition, you have to find a time in your day where you can de-stress. The management of your stress is not something that should ever be taken lightly. When the world around you seems to be in chaos and stress is imminent, remember that you have a choice to let your stress consume you or you can do all you can to get free from it. It’s a life or death battle. I beg you to choose life. Frank Jennings is a freelance writer and main contributor on the website A Spark Starts (www.asparkstarts.com). With over 5 years of writing experience on various topics from personal development to parenting he is committed to making a difference in the world around him.